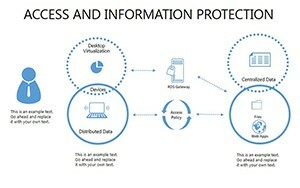 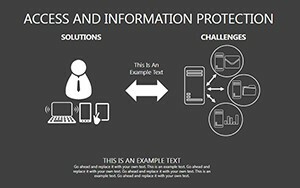 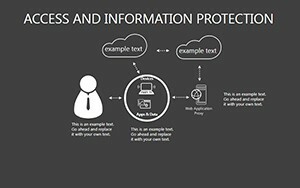 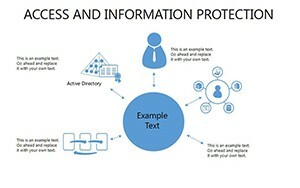 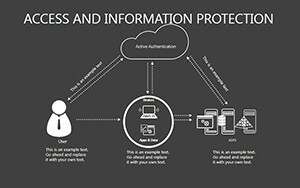 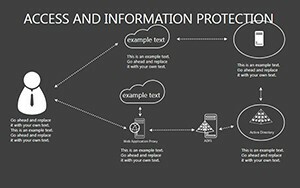 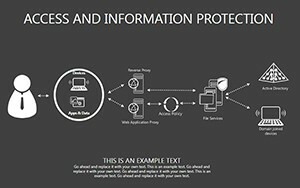 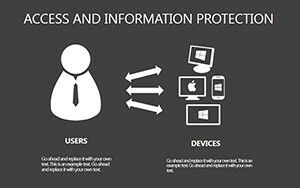 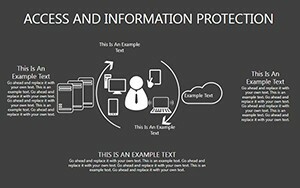 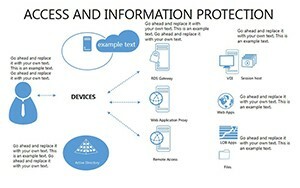 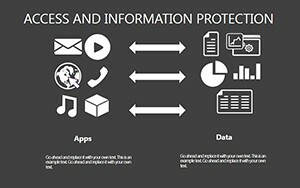 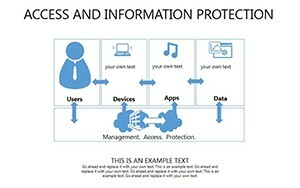 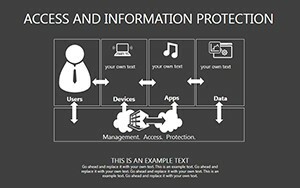 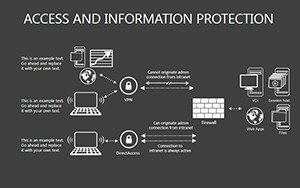 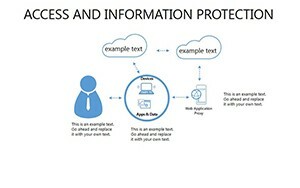 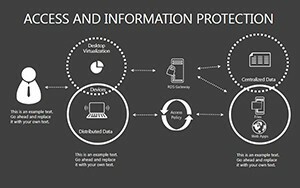 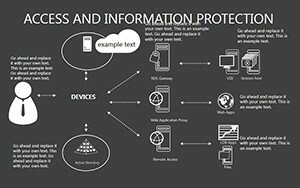 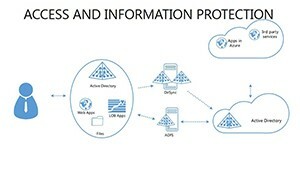 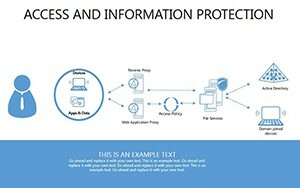 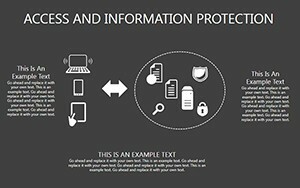 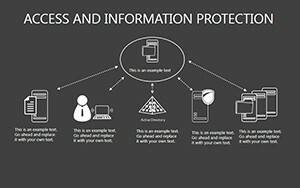 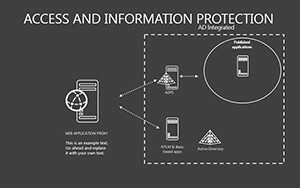 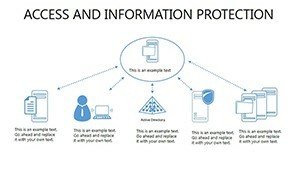 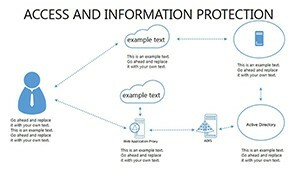 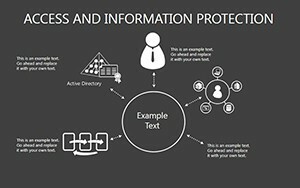 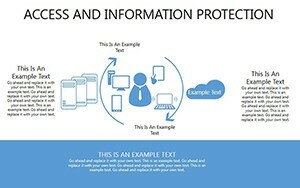 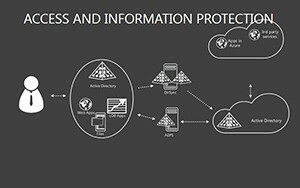 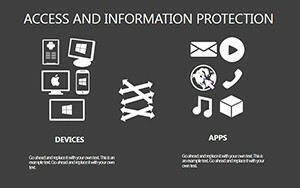 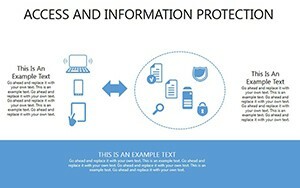 Access And Information Protection PowerPoint Diagrams apply information security systems, which are a set of organizational - technological measures, software - hardware and regulations aimed at countering threats to the security of information sources. 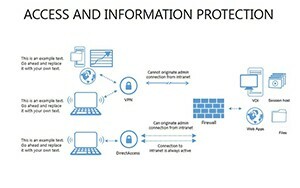 An integrated approach to integrate methods to counteract threats, creating a security architecture systems. 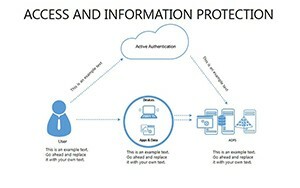 It should be noted that any information security system is not totally safe. 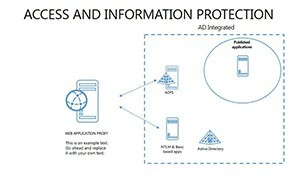 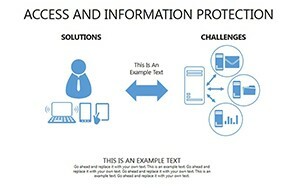 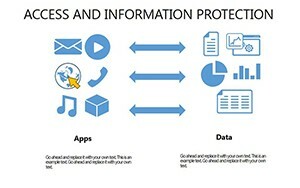 Always have to choose between the level of protection and the efficiency of information systems.